March 24 children's Navy "Varyag" celebrated its 55th anniversary. This is the first military-Patriotic club created in the Soviet Union. In this club brought up the patriots, future sailors for our country. Vocational guidance of students on naval specialties (on the basis of naval training, shooting, primary military, medical) is carried out. There are 110 boys and girls in the children's flotilla. Sea cadets practice during the summer in profile in boat camps on the island Russian. Team flotilla is a regular winner in the urban boat rowing competitions yalah and competitions on radio sport (sports radio orienteering and high-speed radiotelegraphy). 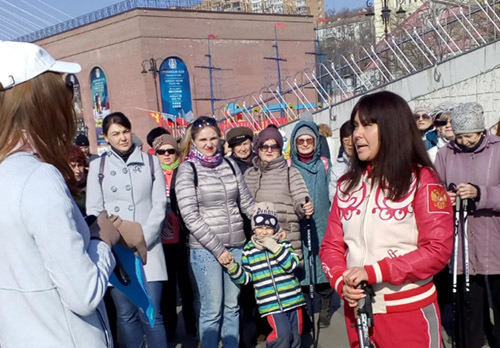 The celebration on the occasion of the 55th anniversary of the military-Patriotic club will be held on April 5 at the children's creativity House in Vladivostok at the address: Ocean Avenue 43, children's creativity house. The beginning of supposedly in 13.00. At 14.00 there will be a concert. Admission for spectators is free. 21.06.2018 "We want to sing and sing." The People's Choir Children of War is 10 years old.